Concrete driveways are durable, but they are subject to a lot of wear and tear. Even though the surface can last for years, it still requires proper maintenance to keep it in good shape. Whether you want to prevent cracks or aren’t sure if sand is safe for melting ice, here are the most common maintenance questions about concrete driveways. How do I address driveway stains? Over time, a concrete driveway may be stained by various drips and spills. From motor oil to gasoline and grease, these stains create unsightly marks and can impact the driveway more than just aesthetically. When left alone, particularly harsh substances such as motor oil penetrate the concrete surface, making it harder to clean and weakening the surface. To prevent oil stains, use cat litter to absorb the fresh spill and a solution of warm water and dishwashing detergent to scrub away leftover residue. Older stains can sometimes be removed using a wire brush and cleaning detergent–or at least make them less noticeable. How do I prevent and repair cracks? To help avoid surface damage, professionally seal the driveway every few years. The reapplication of sealant will prevent water from seeping into small cracks and freezing and breaking them open wider. It will also provide a renewed shield from various substances and chemicals. Tree roots can also burrow their way under a driveway and cause cracks. Trimming back the root system of nearby foliage or removing the plants will prevent this issue. 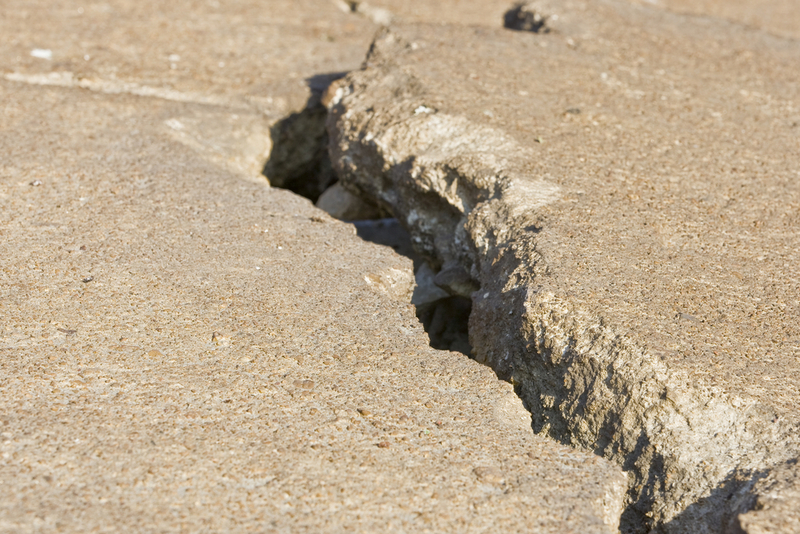 If cracks do appear, take care of them as soon as possible. Having them professionally filled will prevent them from expanding and help avoid the more-expensive costs associated with severe driveway repair or replacement. How do I remove ice from the driveway? Rock salt is not recommended for removing ice from the driveway. Rock salt causes the water to seep into the tiny cracks in the concrete, eventually refreezing and removing the top layer of the surface. You may also track salt into your home, which can stain carpets. Instead of salt, use a non-damaging product such as sand that focuses on traction. Sand is safe on the driveway and provides much-needed slip resistance if ice has already taken over the driveway. Spread sand over the frozen area and reapply throughout the winter. If you need aggregate material in Ontario County, NY, Syracusa Sand & Gravel is ready to assist. The company has provided the best in driveway stone, concrete driveways, crushed stone, sand, and topsoil for over three generations. If you’re not sure what material is best for your situation, the experienced staff will help you locate what you need. Visit the website for a full list of services, or call (585) 924-7146 to speak with a friendly representative.